What’s On Campus? – art. college. life. Resources matter, especially when considering which art school to attend. So make sure you check out the gallery space available on campus. Galleries give you the opportunity to view successful artists work up close and in person, as well as the chance to possible display your own creations. 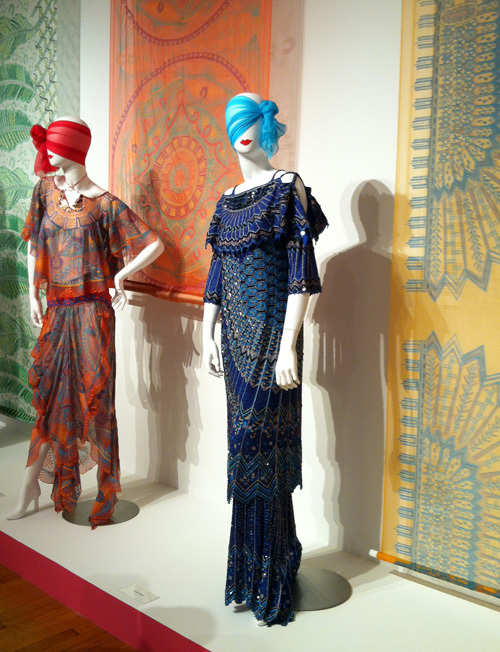 I was lucky to stumble upon Zandra Rhodes: A Lifelong Love Affair with Textiles, showing at Massachusetts College of Art and Design’s Bakalar & Paine Galleries during a recent visit. As a textile artist, I loved it! This British fashion designer has been crafting incredibly creative textiles and clothing since the 1960’s. It’s well worth a visit. Coincidentally, the Savannah College of Art & Design is currently showing Little Black Dress in the SCAD Museum of Art. Curated by SCAD Trustee and Vogue Contributing Editor André Leon Talley, this fashion show focuses on you guessed it, that standard in every woman’s closet. The show includes contributions from designers around the world as well as those of the Best-Dressed List. Make sure to view the gallery space when you tour a school. If you’re headed to Boston and Savannah check out Mass Art’s Love Affair with Textiles, open through December 1, 2012 and SCAD’s Little Black Dress, open through January 27, 2013 then traveling throughout the year.